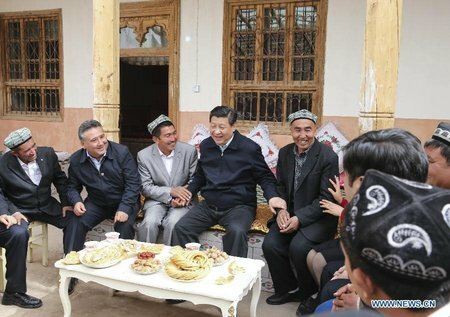 Authorities in northwest China’s Xinjiang region have arrested a prominent Uyghur intellectual for exhibiting “nationalistic tendencies,” according to a source in exile, amid an intensifying crackdown on notable members of the ethnic group. Halmurat Ghopur, president of the Xinjiang Food and Drug Administration’s Department of Inspection and Supervision in the regional capital Urumqi, was taken into custody in November last year and is being held in an unknown location amid an investigation into his alleged “acts against the state,” according to Zumret Tursun, a Norway-based Uyghur activist. Tursun recently told RFA’s Uyghur Service that one of her students was present when authorities arrested Ghopur, who is also the former president of Xinjiang Medical University Hospital in Urumqi. “He said Halmurat Ghopur was taken away from his office, along with his computer,” she said, withholding the student’s name to protect him from possible retribution. Halmurat Ghopur is shown in an interview on China’s official CCTV network, Aug. 19, 2016. According to Tursun, when state security police came to arrest Ghopur, he demanded to know why he was being taken away and an officer told him he had exhibited “nationalistic tendencies,” before reading some of the conversations on the messaging app WeChat that they had monitored. “They said, ‘for this reason we are taking away your computer, and you must come with us and cooperate,’” Tursun said, citing her student. “He hasn’t had a hearing yet, but it is obvious that he will be tried in court,” she added. 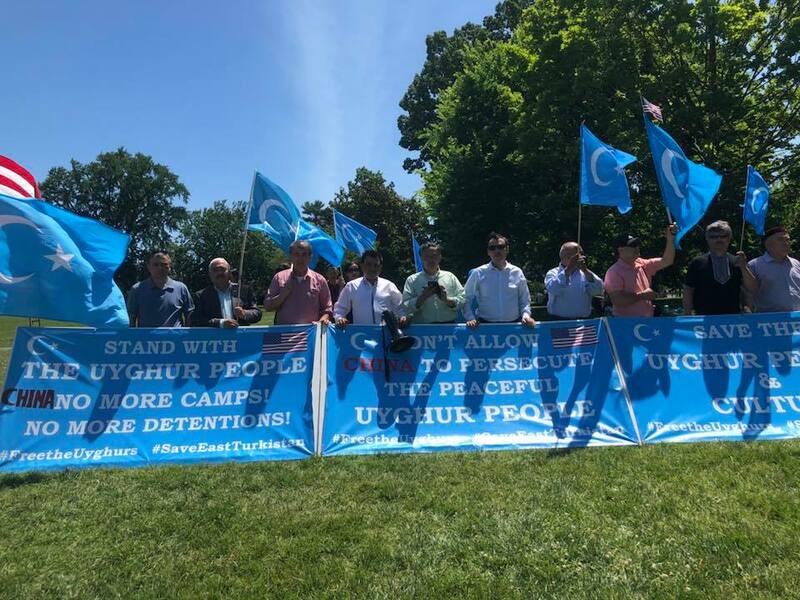 Since April last year, ethnic Uyghurs accused of harboring “extremist” and “politically incorrect” views have been jailed or detained in political re-education camps throughout Xinjiang, where members of the ethnic group have long complained of pervasive discrimination, religious repression, and cultural suppression under Chinese rule. 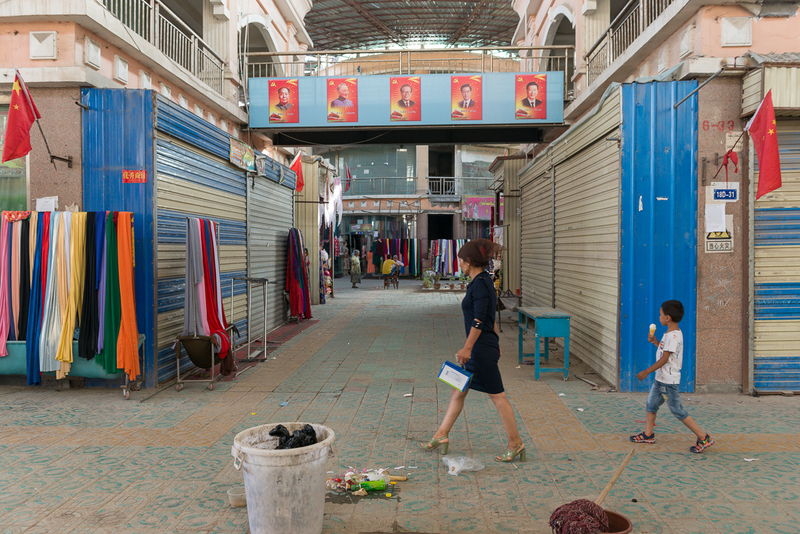 Last week, RFA learned that authorities had sentenced the four wealthiest Uyghurs in Kashgar (in Chinese, Kashi) city to lengthy jail terms for acts of “religious extremism” that included undertaking “unapproved, private hajj” pilgrimages to the Islamic holy site of Mecca and connections to imams who were not sanctioned by the state. Despite a successful career in medicine that included official acknowledgement for developing a treatment for respiratory illnesses which combined Western and traditional Uyghur medicine, observers suggested that differences Ghopur had with Xinjiang Medical University secretary Li Bing may have led authorities to target him. 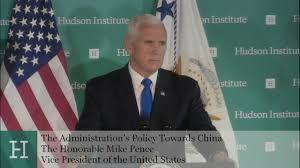 According to an article entitled “We Must Be Vigilant Against Hidden Two-Faced Officials,” published by China University of Political Science and Law professor Wu Danhong last summer, Li had actively fought the “three evils” of terrorism, separatism, and religious extremism in Xinjiang, but Ghopur was critical of his approach. 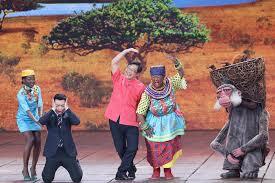 In one case, the article noted, Li—who is ethnic Han Chinese—had suggested that students be prohibited from wearing Islamic clothing on the university campus, but Ghopur argued that the clothing is part of Uyghur traditional religious and cultural dress. Li was found guilty of accepting a 3 million yuan (U.S. $465,000) bribe and sentenced by Xinjiang’s Intermediate Court in March last year to more than 10 years in jail for corruption, and Wu alleged in his article that Ghopur had framed him. 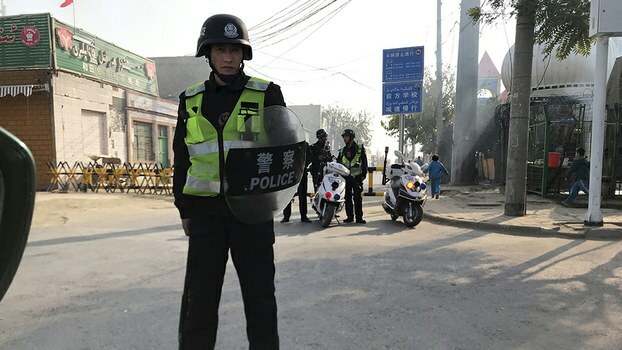 A Han Chinese staff member at the Xinjiang Food and Drug Administration’s Department of Inspection and Supervision who spoke to RFA on condition of anonymity, said he was “not aware” of Ghopur’s arrest and that the department president was “on break.” He directed further questions to the administration’s Department of Organization. A Han official at Xinjiang Medical University, who also asked to remain unnamed, told RFA he had not heard that Ghopur was arrested and that it was “incorrect” to say so. Ghopur is “being investigated for breaking party rules,” he added. When asked if Ghopur had been accused of failing to comply with the central government’s policy of ethnic unity, the official said he was unable to comment because he is not involved in the investigation. According to the official, differences between Ghopur and Li were not responsible for the former’s current investigation. “It is possible that that being a high-level official and communist party member, Halmurat might have broken party discipline and that is why he is under investigation,” he said. Other sources told RFA that it is strictly prohibited to discuss Ghopur’s case, even though the public is already largely aware that he was taken into custody by police. Reported by Kurban Niyaz for RFA’s Uyghur Service. Translated by RFA’s Uyghur Service. Written in English by Joshua Lipes. Correction: An earlier version of the story erroneously stated that Li Bing was found guilty of accepting a 300,000 yuan (U.S. $46,400) bribe.